A MAN has been fined £365 and given six penalty points for a motoring offence on the Tingwall Straits. 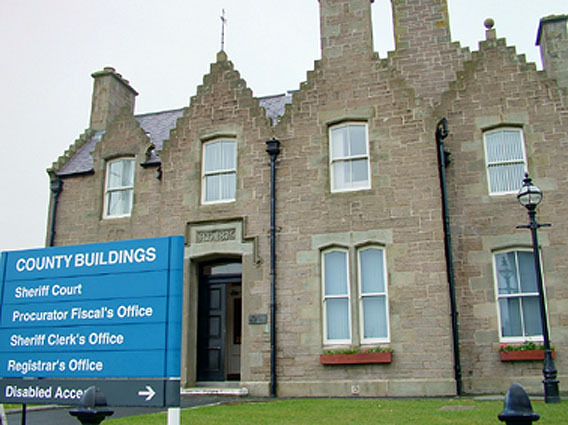 Ben Laurenson, 21, of Lower Voe, admitted overtaking a vehicle in the face of oncoming traffic on 6 September and forcing the vehicle he was overtaking to brake hard to allow him to pull in. Procurator fiscal Duncan Mackenzie said that had it not been for the quick thinking of the other driver Laurenson would have faced “disaster” owing to his “ill-judged and ill-executed” actions. Laurenson pleaded guilty at Lerwick Sheriff Court on Wednesday to driving without due care and attention. Defence agent Tommy Allan said that Laurenson now accepted the error of his actions and regretted any concern he had caused to the other drivers involved.